For John Herbers, the Civil Rights Movement was not just a pivotal, historic moment for the country but a deeply personal one, as well. 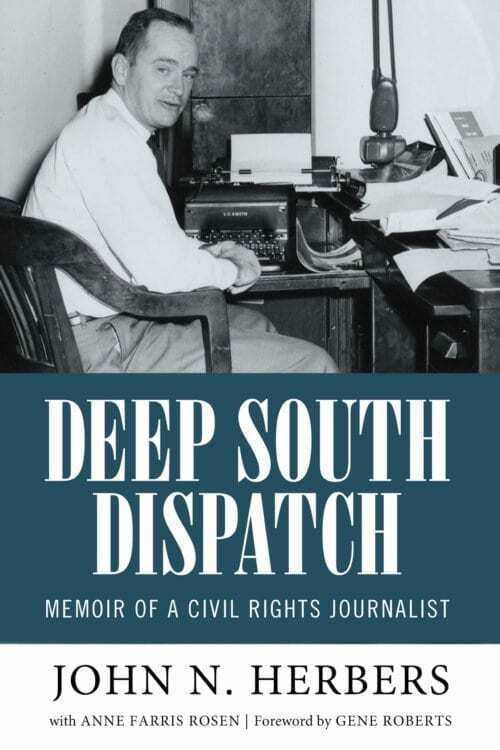 Herbers describes his experiences as a reporter covering the Civil Rights Movement in the newly published memoir Deep South Dispatch: Memoir of a Civil Rights Journalist, cowritten with his daughter Anne Farris Rosen. The author died at the age of 93 in 2017. Born to white Southern parents in Memphis, Tennessee, Herbers describes his early childhood as idyllic. Although his family was poor, they were also, due to Herbers’ mother’s rearing as a society belle, able to hobnob with the wealthy elite in the small towns where they lived. Surprisingly, given the place and time, Herbers says that overt racism was largely absent from his childhood. Class, not color, seemed more important to his family: Herbers was once told that playing with “poor white trash” was far less acceptable than playing with black children. His youth was not devoid of personal pain, however. His awkward shyness made him feel isolated and alone, an experience that in his view cultivated the proper disposition for a journalist. He writes, “Many southerners of my generation from tight little communities became journalists later in life [because] we tended to be social exiles as youths and found it difficult to blend into popular circles.” This “outsider” education paved the path for a key characteristic of the successful journalist, he says: the ability to observe. He suggests later that “the surges of shame and feelings of inferiority make one more sensitive to the hurts of others.” This sensitivity, he says, enabled him to later capture the truth and tumult of key moments in the Civil Rights Movement from Willie McGee’s trial and execution to the Birmingham Bombing and Selma, Alabama. After serving in the Pacific in World War II and graduating from Emory University, Herbers returned to Mississippi to find a job as a reporter in Greenwood. Despite his own experience in small Southern towns, he was unprepared for the racist rigidity of Mississippi, a place that had changed very little since the Civil War. “More than any other state,” he says, “Mississippi bred a political philosophy that rewarded acid-tongued race baiters and tolerated naked oppression and lynchings.” As he began to report local news for the Greenwood paper, his own sense of identity radically shifted, and he found himself on the springboard of what would ultimately become a career as one of the central reporters of the Civil Rights Movement. Herbers’ personal awakening to the severity of the African American experience in the South mirrored the nation’s. Thanks to the media, Americans across the country began to realize the terrors of the Jim Crow South. People protested Willie McGee’s execution by chaining themselves to the Lincoln Memorial in Washington, DC. As the murderers of Emmett Till were tried and released without conviction, the national news carried daily updates. This recognition of his own unknowing, possible complicity in oppression as he left the courthouse that day propelled a change. He began to pursue stories about race and to push them to wider white audiences. As a reporter for various Mississippi newspapers, the Universal Press International (UPI) and later a correspondent for the New York Times, he never took any overt political action on behalf of the Civil Rights Movement. However, the news he published helped spread the word about the terrors and triumphs of Civil Rights activists as they protested the violence and oppression that had reached a boiling point across the South. Herbers’ memoir shines in these moments. His descriptions of the Birmingham Church bombings, the riots in St. Augustine and the marches in Selma are razor-sharp, imbued with the strain and emotion he observed as he watched these events unfold. His own harrowing near-misses with white hoodlums in St. Augustine and Selma are chilling. The persistent pull he felt between the compunction to chronicle this definitive chapter of his country’s history and to be home with his family adds a personal dimension that reiterates his humanity. 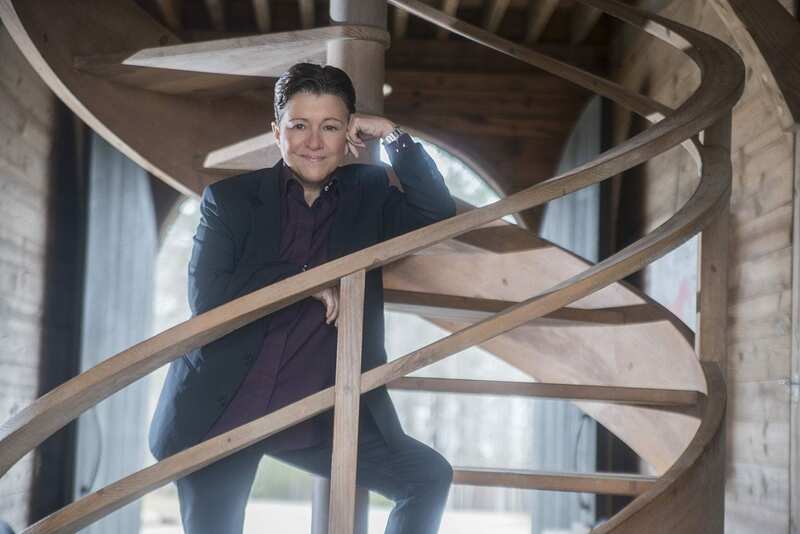 This self-reflective analysis encapsulates why this memoir is so riveting, and so timely. As we once again find ourselves assessing the role of race in American society, the place of states’ rights and the limits of police force, this memoir reminds us of the critical, resonating facts of a not-so-distant past. It also underscores the importance of impartial, responsible journalism in an age when anyone with a Twitter account can fancy himself a truth-teller. Indeed, the title says it all: this is a dispatch from the Deep South, an incisive communication from a troubled past and a troubled region. Perhaps history repeats itself when its abiding questions haven’t truly been resolved. In the case of race and its role in American society, the same issues seem to emerge in the national conscience every few decades. The fact that we have not yet resolved them makes the lessons of the Civil Rights Movement and Herbers’ memoir all the more instructive. John N. Herbers’ daughter and co-author Anne Farris Rosen will speak about her father and his work at the Carter Center on April 19 at 7 p.m.